If you are looking for ways to live a more organic and earth-friendly lifestyle, here are the top ways to go organic in 2010. If you don't do anything else, be sure to buy organic foods--especially from the dirty dozen list. In many communities, CSAs are popping up. CSA stands for community supported agriculture and is often part of an organic, local farm. Each family buys shares in the CSA and each share entitles them to a percentage of the crops. It is often an inexpensive way to take care of your needs for fresh, organic food items. Do be sure to ask if that particular CSA is organic or not. Even if they aren't certified as organic by the USDA, they may use organic practices. Your local farmer's markets are good places to find organic vegetables and keep your shopping local. It is important to ask the farmer about his practices, but small farmers often are very aware of the impact of their farms on the environment. By knowing the people you are buying from and shopping locally, you cannot only achieve a healthier lifestyle for yourself but be part of the move to a more localized lifestyle. If you want fresh, organic vegetables there is no better or more inexpensive way to get them than to grow your own. Choose varieties that are easy to grow for the novice and those that your family likes the best. You can always add to your garden as you become more proficient. Some cities allow a homeowner to raise a certain number of chickens for personal use. 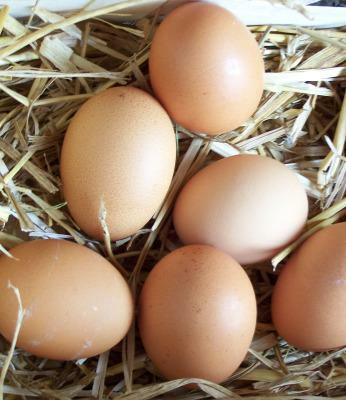 This is a great way to ensure lots of low-cost organic eggs. Check with your Homeowner's Association and zoning departments. Organic foods do cost a little more. You will save money and be able to afford more organics if you cook from scratch rather than relying on commercially prepared organic foods. Learn once a month cooking techniques to help you save time as well. Your home is your environment. Keep it clean and toxin free to cut back on allergies and upper respiratory problems. Scented candles make your house smell great but they are a petroleum based product. They give off toxins with that lovely scent. You can buy soy candles in as many scents as traditional scented candles and they are not a problem for your environment or your lungs. As your sheets and towels wear out, replace them with organic versions. Conventionally grown cotton is one of the most pesticide and toxin soaked materials that there is. Consider organic cotton, bamboo, or even soy based fabrics. Make your own cleaning supplies. Not only will you save money, but you will enjoy a clean, fresh home without the toxins that are in commercial cleaners. You can also buy organic cleaners of all types, but they are more expensive. Some organic dishwasher soaps seem to work better if you add some white vinegar to the rinse cycle on your dishwasher. Keep your body healthy by minimizing the amount of toxins that you come in contact with. Organic makeup and skin care is available almost everywhere. Since the skin is the body's first line of defense and the largest organ, it makes sense to protect it as much as possible from toxins. Traditional makeup and skin care items can have a number of different carcinogens and poisons in them, ranging from lead to formaldehyde. An easy facial cleanser that is great for your skin is simply organic coconut oil. It is also great to use as a massage oil or moisturizer. Feminine products are a monthly necessity for millions of women. Commercial products have chlorine bleach and other toxins that cannot only irritate sensitive membranes but are carcinogenic as well. Consider organic forms of feminine products as well as organic cloth menstrual pads. This keeps your reproductive system healthy, saves money, and is better for the environment. While buying organic clothing is an important part of the top ten ways to go organic in 2010, it is less imperative for an adult than a baby. If you can't afford all organic items, try to buy organic clothing for your children and organic undergarments for yourself. Making small lifestyle changes will lead to big lifestyle differences any time. Make a resolution to be more organic in 2010.